Can This Treehouse Be Any Dreamier? 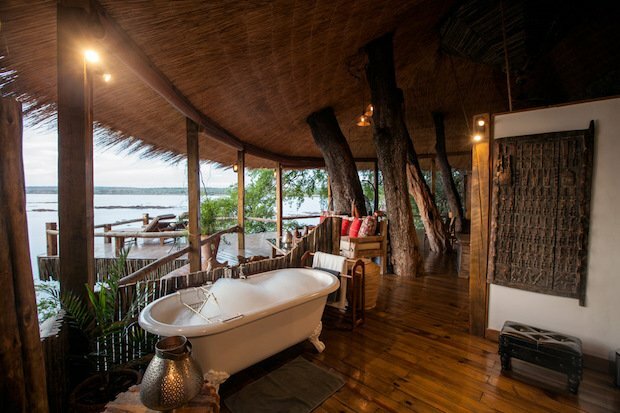 There’s something about the Tongabezi Treehouse in Livingston, Zambia. It’s simply breathtaking and these pictures are proof! You definitely cannot miss the thick, sturdy branches of the ancient ebony trees that provide structure and character to this beautiful, airy space. 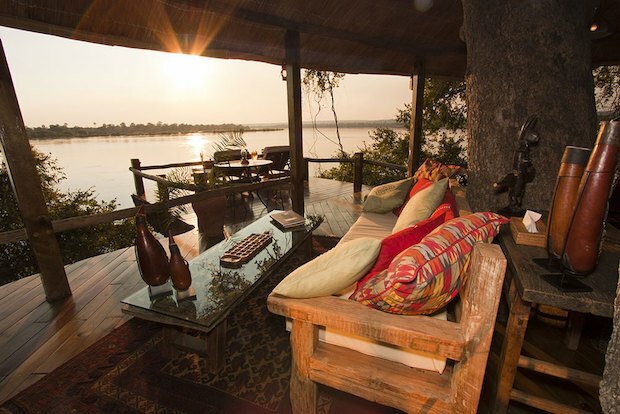 On the deck you are greeted by the Zambezi river, and this viewpoint makes for a truly unforgettable view of this mighty African waterway. 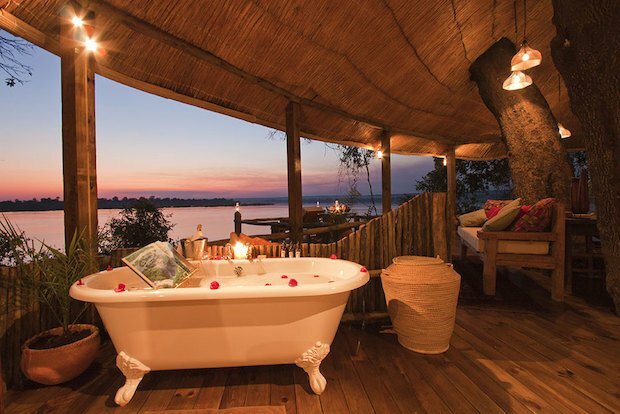 The open-air bath will make you appreciate exotic African sights, smells, and sounds. 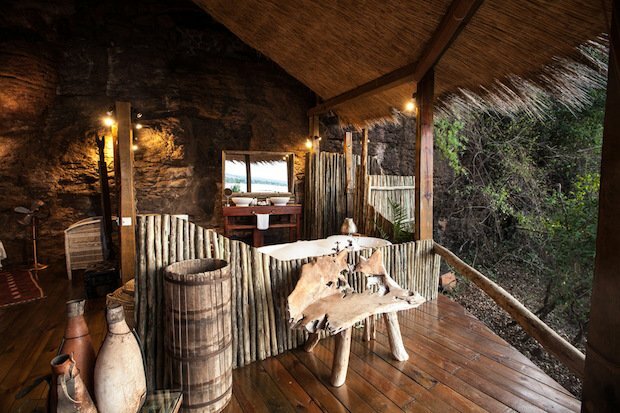 We learn that you can even see hippos from afar and hear the lions roar from your room! How utterly sublime. 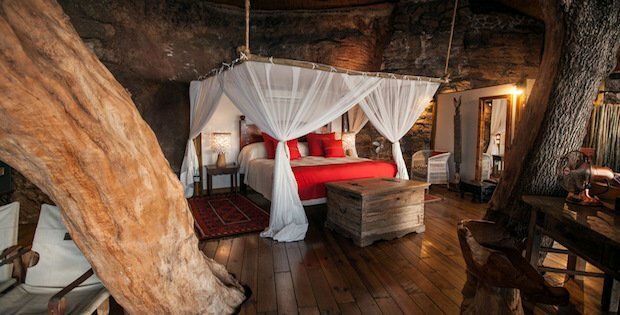 The king size bed has a large, canopied mosquito net with air conditioning and the extensive space can also be used for private dining and lounging. The bathroom’s crowning glory is a perfectly positioned claw-footed bath. Everything from the Anatolian carpets to the Asian chests and West African artwork the Tree House invokes exotic daydreams.